Rujuta Diwekar Teaches Us How To Identify New Superfoods! She has long been actress Kareena Kapoor's dietician and has contributed to her lifestyle till date but her anecdotes and some recipes too have been working out for the masses including you and me. This time, celebrity nutritionist Rujuta Diwekar has given some tips on how you can identify your superfoods and differentiate between the real and unreal when so many studies and lists come out talking about superfoods you must have. Let's take a look at what she has to say this time. Does your grandmom know it? Does she have multiple uses for it in her kitchen? Like the Mango, a panna to cool you down, ambe dal to add flavour to your regular intake of amino acids, aamras with poori for celebrations and achar or loncha to accompany plain Dahi rice or dal rice for the more sombre occasions. 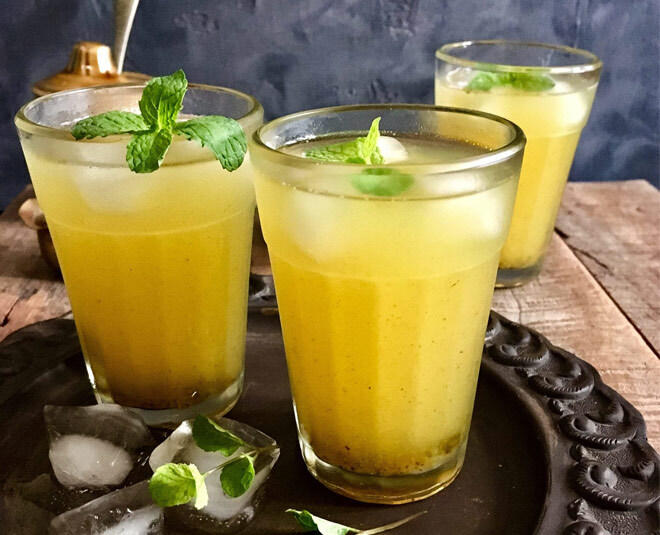 Now aam panna has long been summer drink. have you ever wondered why? How does the artist community respond to that food? Is it on the border of the saree? The leaves on entrance as a toran? Does it appear on tribal paintings? Is there a folk song, proverb, cultural anecdote or story for it? Does it bring people together? Is it food for all? Does it unite us across the divide of class, gender, community, age? Does it bring happy memories? Does it ignite empathy in you? Does it inspire you to share or hoard? Every tiny spec of Anna holds within itself the power of the entire universe. Long story short, patronise food that gives you the three E's: Energy to your body, Economy to your farmer, Ecology to your globe. It is okay to have 2-3 spoons of ghee a day. Never start your day with coffee. Always have ghar ka khaana. Have fresh food and not microwave it always. Drink masala chai over green tea. Take less or no sugar. Cardio for the body, Yoga for the brain. Drink according to your body. Quit the phone to kill time, go for books. Drink with the meal. not after or before. So eat healthy, feed healthy, eat smart says Rujuta.